The park encompasses just under 748,000 acres of granite cliffs, groves of giant sequoias, waterfalls, streams, and diverse plant and animal life. Designated a national park in 1890, Yosemite National Park is the third oldest national park in the United States, though President Abraham Lincoln signed the Yosemite Grant in 1864, paving the way to a national park 26 years later. Today, some 3-4 million visitors flock to the park each year. 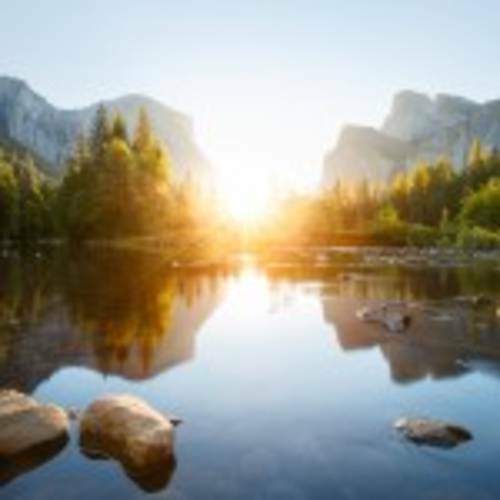 Yosemite has a lot to offer, including backpacking trips to see some of the backcountry's waterfalls, mountain meadows, hidden vistas, and choice fishing spots. Hikers will find a variety of day hikes based on interest, ability, and level of difficulty. Horse trails are available to those who want to go on a guided tour or adventure out on their own. Unique to the park is the opportunity to step back through time by renting an original Model T or Model A Ford and driving around the park. 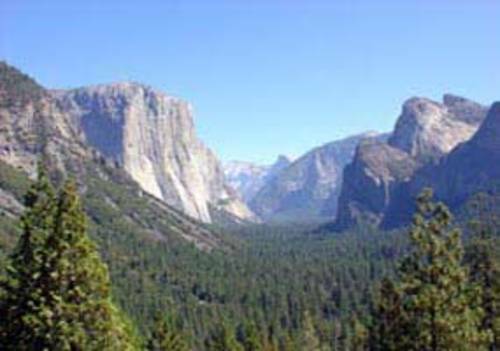 Visitors can also enjoy Yosemite National Park by picnicking, birdwatching, biking, camping, and fishing. Quaint luxury and exotic gardens make this unique hotel near the park's South entrance a dream and an excellent base for all your Yosemite adventures. Rooms feature charming rustic decor, premium beds & balconies and are pet-friendly. Enjoy world famous on-site fine dining, relax by the pool adorned with Lillies, Hollyhocks and hundreds of colorful perennials or stroll over to Sugar Pine Railroad for a scenic excursion aboard a restored turn of the century steam engine where the long, lonesome whistle recalls memories of an unhurried past. Rush Creek Lodge is a brand new resort development which blends contemporary design and modern amenities with a rustic, nature-inspired theme. The Autocamp Yosemite is a new type of outdoor lodging experience just 30 minutes from the west entrance of Yosemite National Park on Highway 140 West. For a secluded destination at the steps of Yosemite, the Autocamp Yosemite features custom and luxurious Airstream accommodations, modern cabins, and Luxury Tents. The year around facility offers a mid-century, two-story Signature Clubhouse, freshwater pond, heated pool, community fire pits, private meeting places, and much more. Upscale, mountain lodge in the majestic Sierras features fine dining, world-class spa and pools, fitness center and game room, all just a few miles from Yosemite National Park. Warm, rustic-chic rooms and cottages have new TVs, WiFi, cozy fireplaces, private balconies, and patios. With a 4-diamond AAA rating, Tenaya Lodge is one of the highest rated accommodations Yosemite has to offer. The Majestic Yosemite Hotel (formerly the Ahwahnee Hotel) is the standard in luxury for Yosemite National Park lodging. Enjoy fine dining and a handcrafted cocktail under the tall log archways of the Grand Dining Room where views of Half Dome, Glacier Point, and Yosemite Falls will take your breath away. This regal "masterpiece of architecture" with thoughtfully curated rooms, suites and cottages are one of the most popular hotels in the park. The Scenic Wonders Vacation Homes offer a variety of cozy studio and loft condominiums as well as vacation homes inside Yosemite National Park. Great value in a great location!